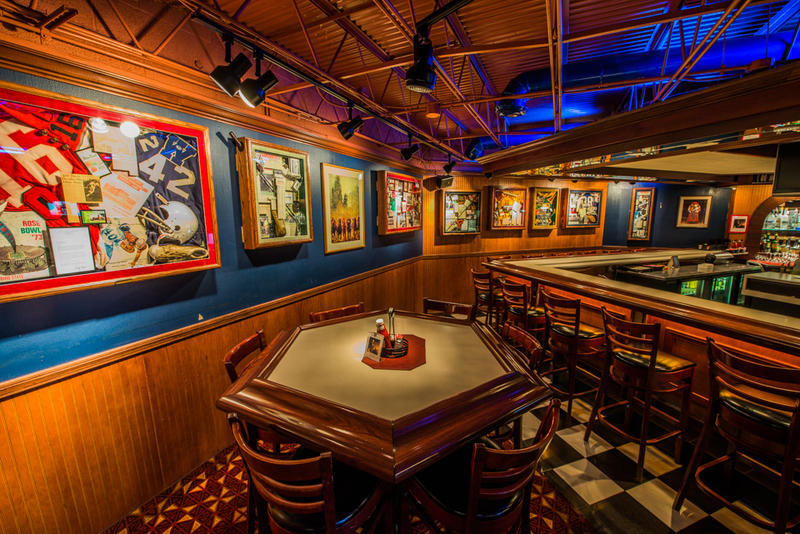 Andy’s Ale House & Grill has been one of the most popular hangouts for the past 35 years. We are a full service restaurant serving lunch, dinner, and late night snacks 7 days a week. We are open from 11:00am until 2:00am daily with our kitchen being one of the only kitchens in town open until 1:00 am. Andy’s is not only a full service restaurant. We are also the city’s leading sports and entertainment complex. If it’s a game of pool you want we have 17 nine-foot regulation pool tables, 6 seven-foot bar tables and 1 nine-foot billiard table. If it’s a sporting event you want to see on TV. You can watch it on one of over 30 HD TV’s. Andy’s also has darts and other amusement games for your enjoyment. You say you want a beer? Well we are an Ale House. We have one of the most extensive beer menus in the area offering over 100 different beers. 12 of those being served on draft. If a 100 beer menu is not big enough for you don’t fret, our sister business at the end of the plaza will certainly fill your needs. The name says it all. “1000 Beers” Also our bartenders are very versed in making the latest and greatest martinis. Centrally located in the city we are just 5 minutes from I-90 or 5 minutes from downtown Erie. So come on in and join us for a fun time out.